Remember the High Fives feature we run throughout December each year? Come on, it’s only a few weeks ago. Well, when we got in touch with Sound of the Sirens, they were really busy (as they were for most of the year) and promised to get back with something in the New Year, and they did. This came through in a series of messages yesterday and all we had to do was reconstruct it. Abbe and Hannah have had another great year and 2017’s looking pretty good as well. Got to say I love the way they seamlessly slipped in that plug for the new album in the second paragraph. In June we set out to record our new album which is out on May 5th 2017. We are now under the watchful eye of DMF records and they put us in touch with a great producer called Mark Tucker. We’ve written many new songs but have taken 3 old songs and tweaked them with a bit of production. It’s been a brand new way of working for us and has really helped us to grow as artists. For one song we invited friends, students and general Siren support round to ours to create a choir. This has been included on the new album and we love that our friends are in on the act. Thank you to the Sirens choir!!! 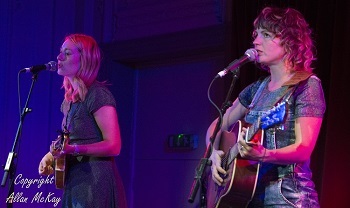 In July we were asked to play at The House Festival in Twickenham. It was unbelievable to say the least. We were invited to play a small set in the Ebay corporation tent and when we had finished we were let loose into the most extravagant playground. 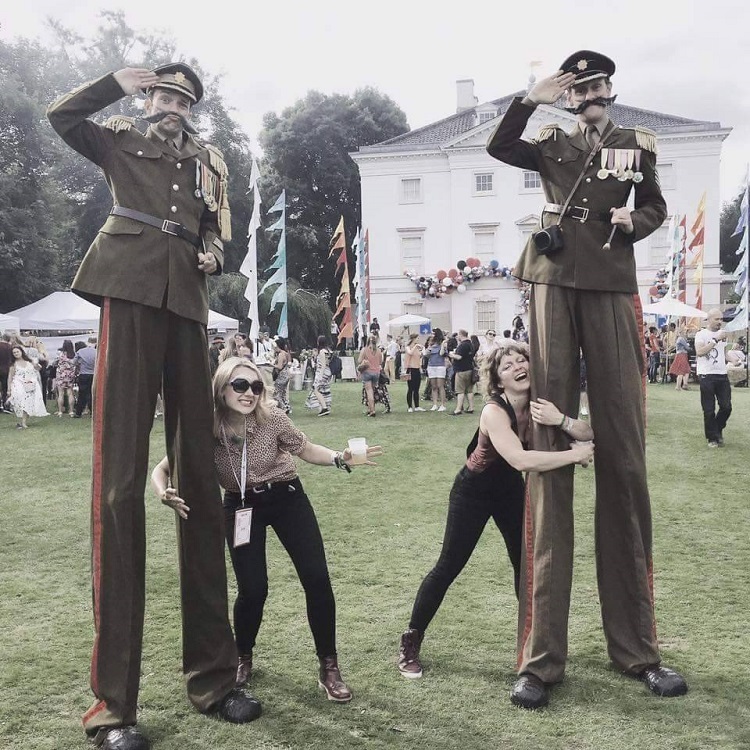 We could help ourselves to cocktails, play on the carousel, eat olives and cheese until it was coming out your ears, have your hair done, glitter your face, make a music video and hang out with giant people on stilts …..and then Kylie arrived along with Tinie Tempah. It was a surreal day. 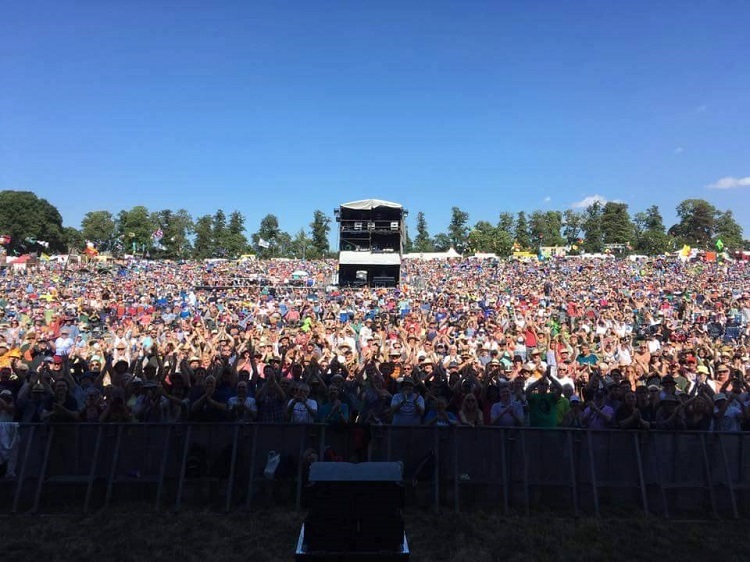 In August we were invited to play on the main stage at the very popular Cropredy Festival. We weren’t quite sure what to expect and whether we would be received well. Upon arrival we were given a dressing room, given drinks, they took our pictures, we did interviews, they wouldn’t let us carry a thing. The set went so well and we enjoyed every second. Afterwards we did our first signing in a tent and it was such a great experience. For an hour solidly we spoke to people, had pictures, heard stories and we laughed alot. We sold all of our merchandise (a first for us) and we felt euphoric. 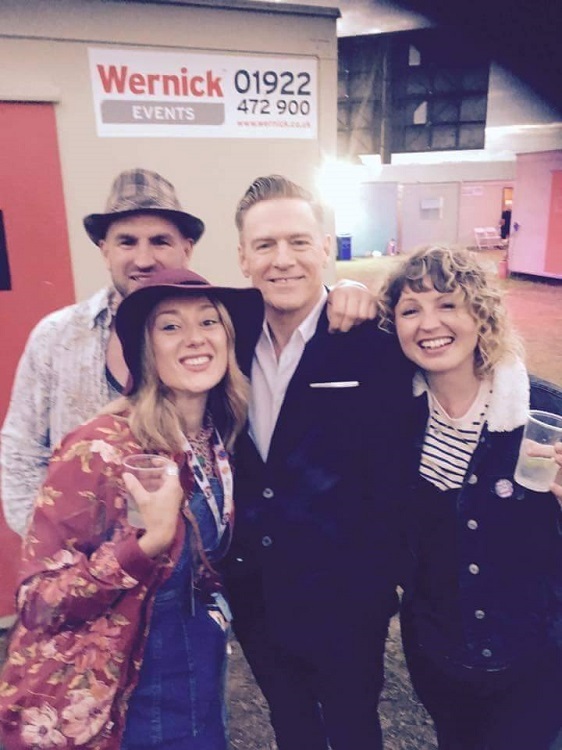 Cropredy …..pleeeease have us back . It was our first whole day of ‘working’ at a festival. If we can call this work then we are lucky girls. In August we played at Carfest to another big and exciting crowd. It’s been an incredible year for us. We knew Bryan Adams was playing and we couldn’t wait to see his set. 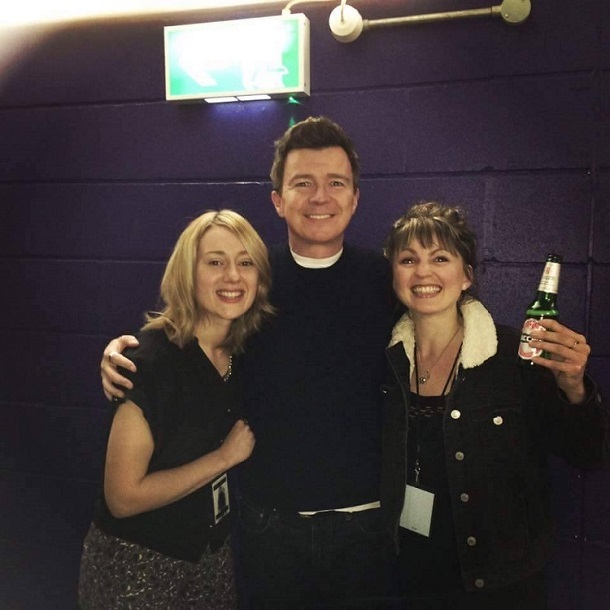 After our set we were asked if we would like to join our friend for a tequila in one the backstage rooms. Whilst we were sat about swapping stories and sharing drinks in walked the one and only Bryan Adams. Our jaws dropped and we both hugged him. This is definitely one for the album. 2016 you were a right cracker ……roll on 2017. Let’s fill the rest of our album x x x.